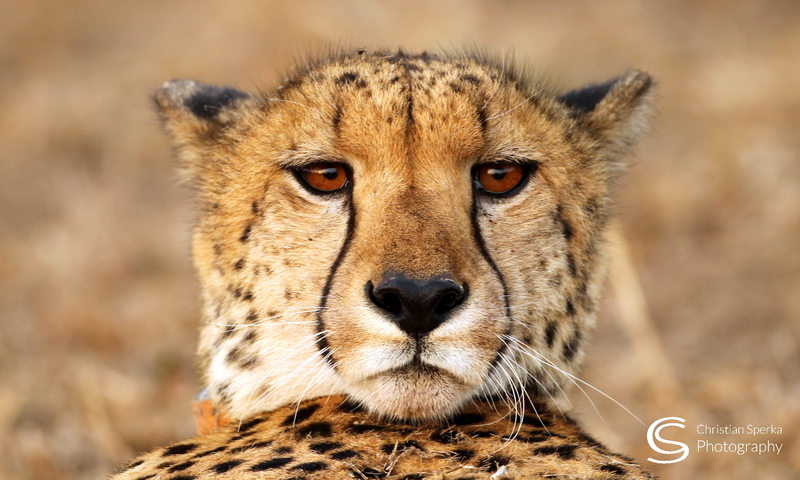 The last few days were very busy and I had no time to blog, but now I am back on Thanda. And it is hard to believe it is the same place. The recent rains have turned the place green, as you will be able to see in up-coming pictures. But today I post the last pictures from my recent trip. 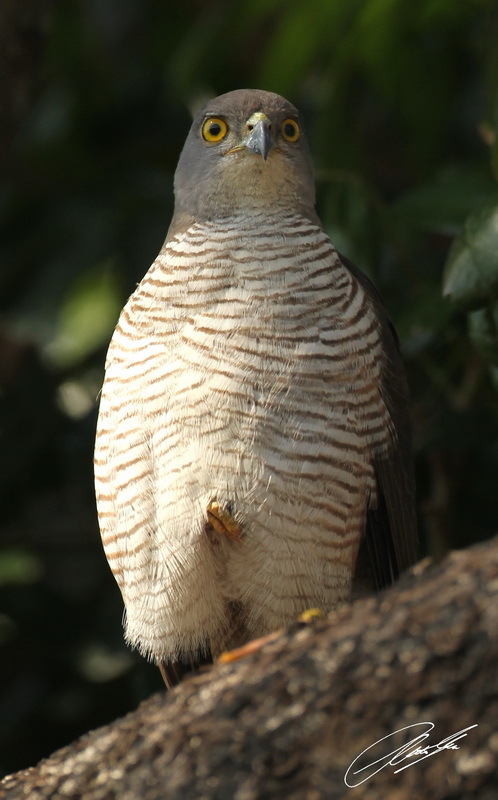 The first is a picture of a African Goshawk who was – sitting in a tree – giving us the farewell from Nkombe camp. The second is a collage of my last walk on Sabi Sands. 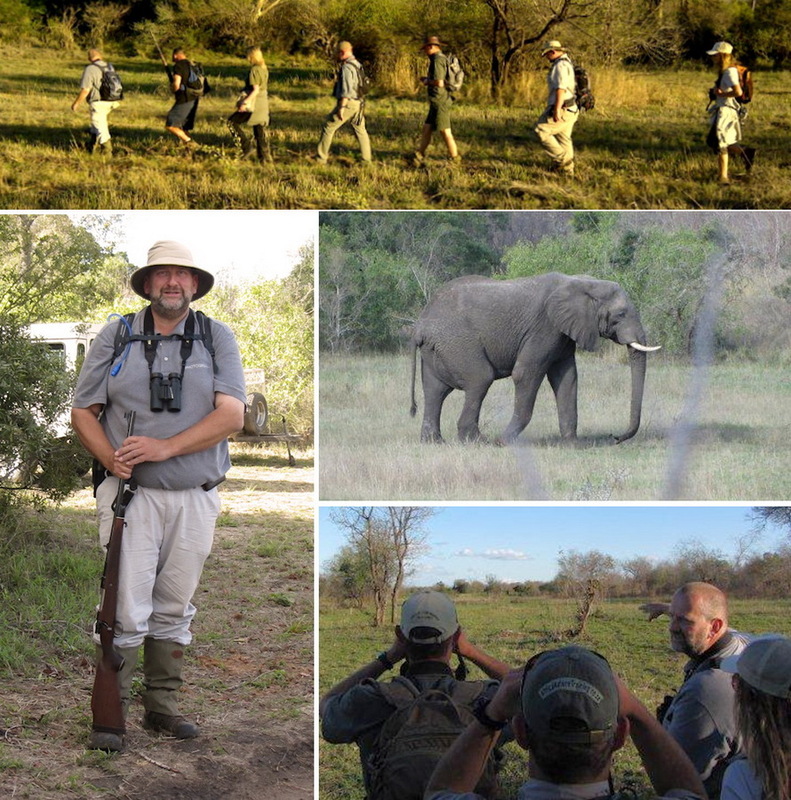 For part of the walk I was in the lead guide and we encountered two Elephant bulls and a male White Rhino. PS: The pictures in the collage were taken by Craig Fitt and Ross Hawkins – As I was walking Lead or Backup with a rifle I was not able to take pictures – Thanks for letting me use them. Good morning Christian, Glad to see your home(in one piece)!! though you look abit tired. Sounds like you had a very memorable time, one that will last a lifetime.Thanks for sharing some of the highlights from your trip, Great pic of the Goshawk. Hawks are one of my favorite birds of prey. Have A Great Day!! You look great and looks like you are having an awesome time!! Miss you! Previous PostPrevious Buffalo – up close and personal! Next PostNext And then the sky opened!